African Rail and Traction Services (AR&TS) (Pty) Ltd, has an established training facility, offering novice training as well as annual recertification of qualified locomotive drivers and shunters. 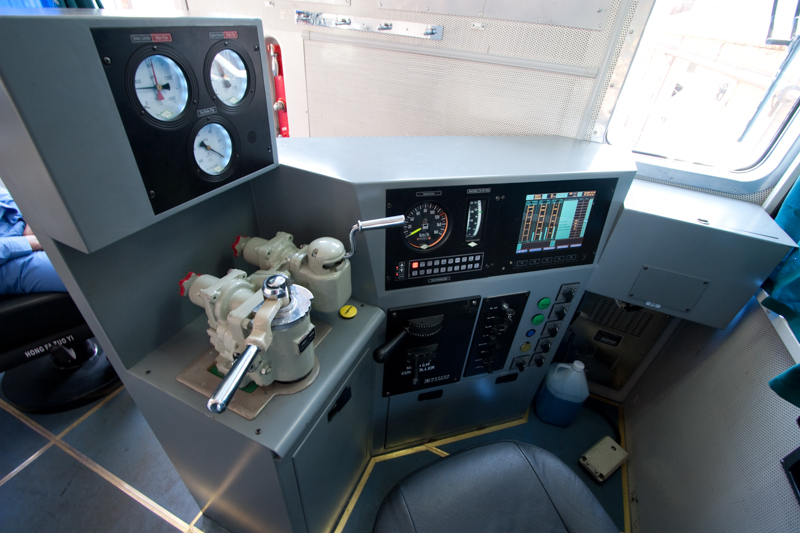 In addition, the training facility offers driver conversion training, where the locomotive specification has changed. The training offered by AR&TS is fully accredited by the South African Transport Education Training Authority (TETA) for the training and assessment of locomotive drivers and shunters. The training and assessment services offered is used by the mining industry as well as other key customers who manage independent railway operations and sidings in the course of their business. The facility not onlys ervices South African business but accommodates customers from the SADC region as well. Depending on the requirements, this service can be provided onsite at the customer’s premises. AR&TS offers novice training for both shunters and locomotive drivers.The shunting course includes three weeks of theoretical instruction and eighty hours of practical training with a qualified shunter. The course covers three unit standards including US264338, US230402 and US230417.The course offering for novice locomotive drivers includes a full month of theoretical tuition and 120 hours of practical training with a suitably qualified locomotive driver and covers all the relevant unit standards including US14638, US230402, US230417, US230407, US264338and US256195. In addition to the novice training courses offered, AR&TS offers recertification as well as driver conversion services for both locomotive drivers and shunters, which consists of both a theoretical and practical assessment that is completed over a three to five day period.Training material is supplied for all courses and is accessible for both students and their employers. Upon successful completion of the training,locomotive drivers and shunters who pass both the theoretical and practical assessment are issued with a certificate as well as a license,which is valid for one year. AR&TS is a company of Surtees Group Holdings (Pty) Ltd, which is a South African based company specialising in the sales and rentals of locomotives, trackmobiles and other rolling stock. The company also offers repair and reconditioning of rolling stock at their Pretoria West based workshop. In addition, the company has the capability to provide a full-spectrum of railway solutions, including the operation and control of an entire rail system, ranging from the maintenance of a client’s own locomotives and rolling stock to the control and transport of their products as well as maintenance of railway tracks and signalling systems.